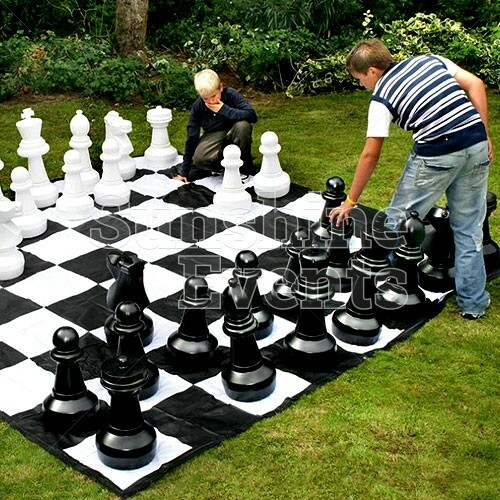 The objective is simple: move your pieces around the board until you put your opponent’s king into an inescapable position: checkmate! 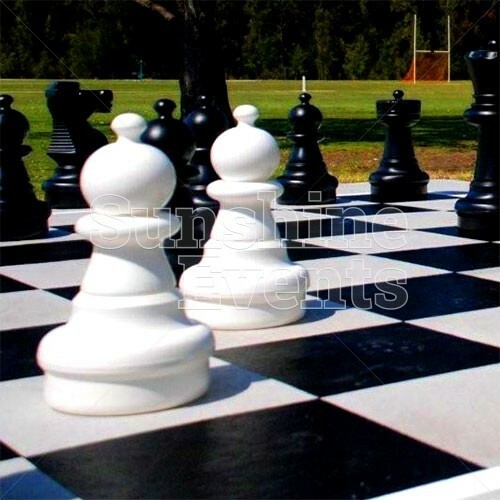 All the pieces have different moves available to them, with the pawn having the least amount of movement and the queen having the least, but you’ll need them all to attack and defend your way to victory. 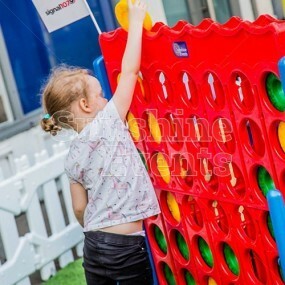 The Giant Chess comes with a huge mat measuring 3m by 3m so there’s plenty of room to get in and amongst the pieces as you play - it’s almost like you’re part of the game! 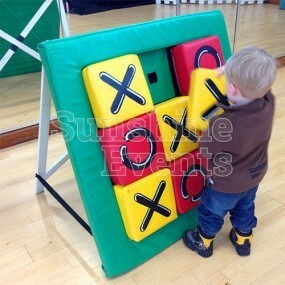 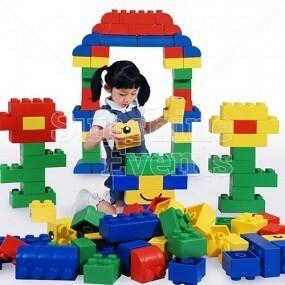 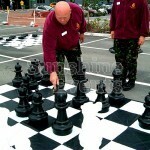 The pieces are made plastic, which makes extremely durable and lightweight as you move them around the board. 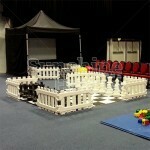 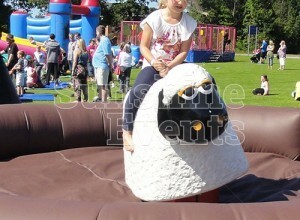 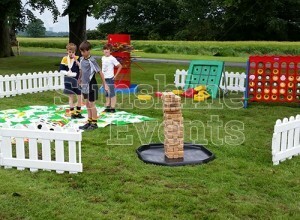 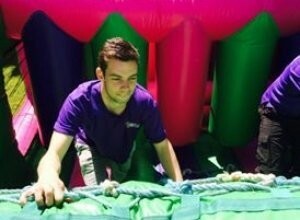 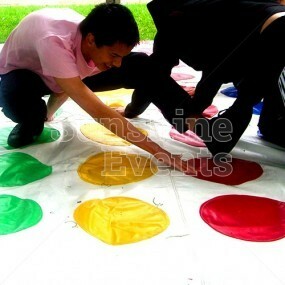 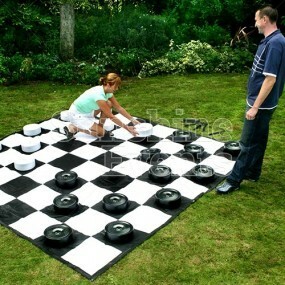 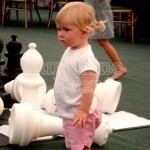 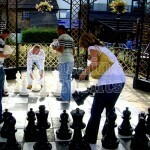 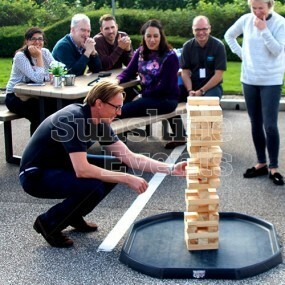 What events are the Giant Chess Hire suitable for? 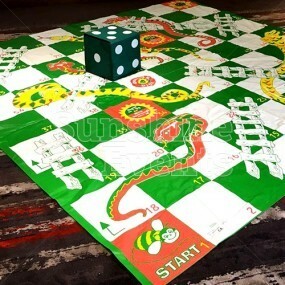 This thrilling and mentally challenging classic game is brought to new levels of fun thanks to its size and its overall presence. 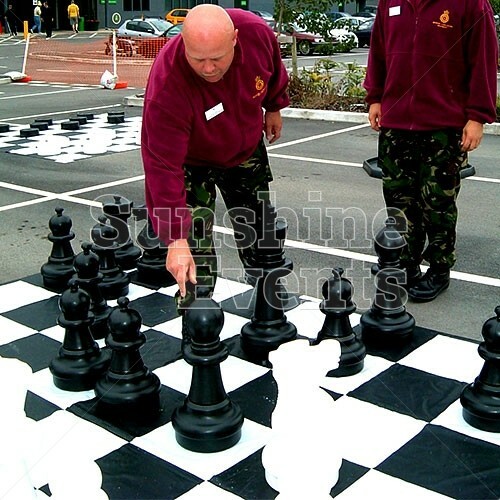 Children will love to take part and perhaps learn something new, while the adults go head to head and hope to utter that final word... 'Checkmate'! 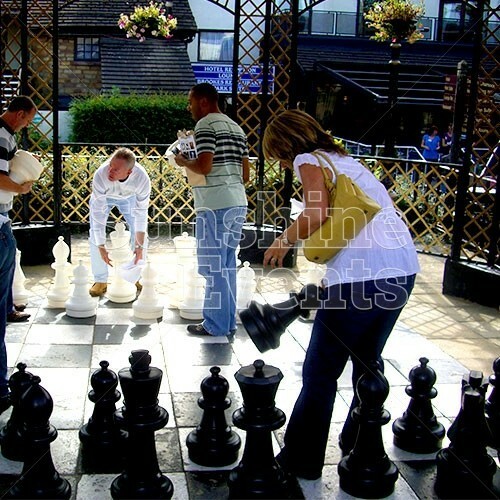 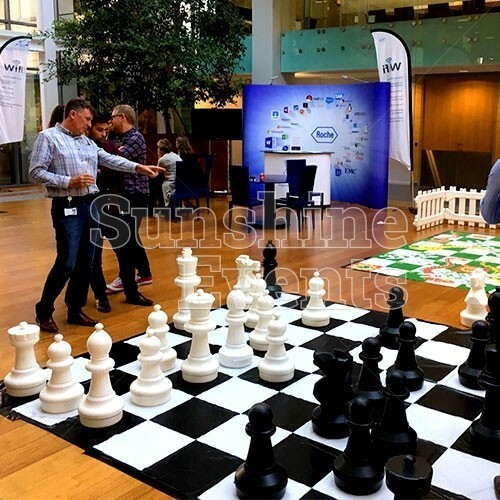 You won’t need to be a Grand Champion to play the Giant Chess - as long as you have a basic understanding of the game, you’ll find yourself enjoying this great activity for hours on end! 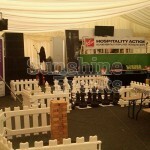 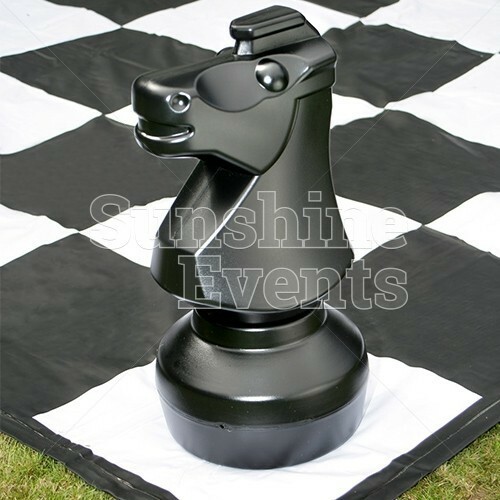 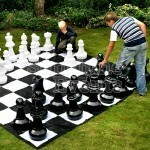 Giant Chess Hire has been added to your Event Quote.